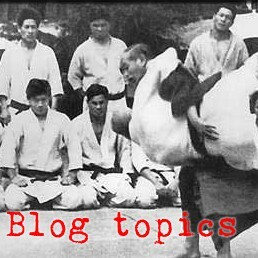 Sensei Strange is doing a very entertaining and instructional series over on his blog about ukiwaza - the floating throws of the Tomikiryu. 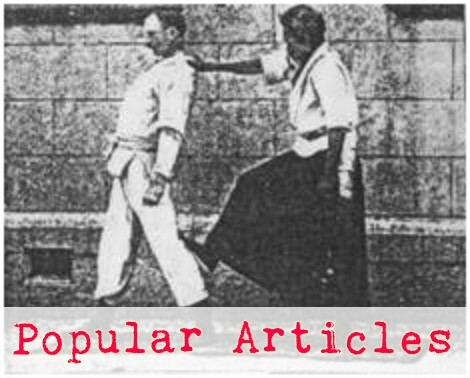 In my opinion, sumiotoshi is the archetype, or prime example of the ukiwaza in aikido, while ukiotoshi is the prime example of the floating throw in judo. But sometimes you can see the principle of a particular throw more clearly by looking at some other, seemingly unrelated throw. For example, in his most recent post, Strange talks about sumiotoshi being properly thrown in the back corner instead of the front corner like ukiotoshi. Check out the following video of taniotoshi. This is a variation that Mifune was fond of demonstrating, though I couldn't find the video of him doing it on YouTube. I think this throw is remarkable because it is, in principle, identical to sumiotoshi, but also because it emphasizes the 'dropping' nature of the otoshi even better than sumiotoshi.